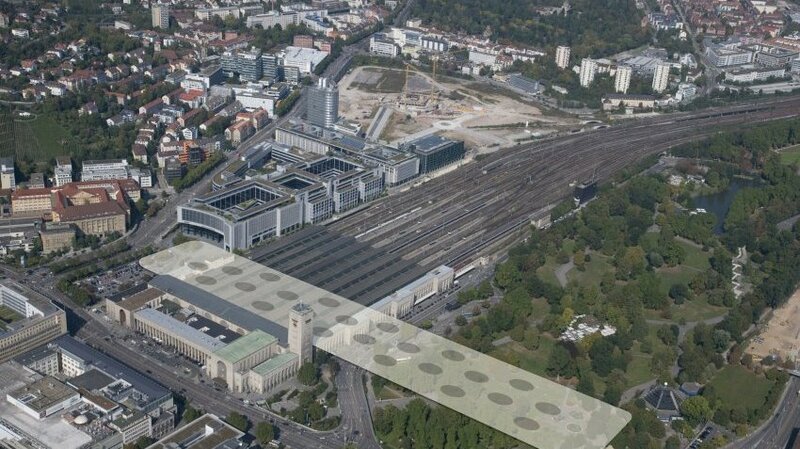 S21, which has been called Baden-Württemberg’s most ambitious and largest upgrade to public rail transport since the 19th century, will see the main station converted from a terminus into an underground through-station. It is news because of Lacertaagilis and Podarcismuralis – wonder what ?? Armed with mini lassos on the end of poles, their targets are Zauneidechsen and Mauereidechsen, two species of endangered lizards. A rail journey between Maharashtra's winter capital Nagpur and the city of pearls, Hyderabad, may take a mere three hours, down from the nine that most trains take now, if a plan is put into action, a senior official said. The railways has drawn a blueprint for a semi-high speed corridor linking the two commercial hubs, the official added. The Railways is planning to cash in on the fact that at present there are no direct flights between the two cities. A flight with a stopover could take four hours or more. Currently, the 584-km stretch is covered by the Railways at an average speed of 60km/hr in a minimum of nine hours. The railways is planning to run the trains at a speed of 160-200km/hr by strengthening the existing tracks and fencing off the route to complete the journey in less than three hours. Semi-high speed trains can gather a maximum speed of 200 km/hr, while faster ones in the category of high-speed or bullet trains can run at 250-350 km/hr. When you read such news in Social media ~ some would immediately post a remark that Western World is far ahead ! trying to be a Modi or Govt – baiter !! Turkish government warnings to its citizens in Germany to be "cautious" and avoid political gatherings during election season are a "bad joke", Chancellor Angela Merkel's most senior aide said on Sunday. "Turkey's travel warning against Germany is a bad joke! ", Peter Altmaier, head of Merkel's chancellery office, wrote on Twitter. "Imprisonment without charge for many Germans is unjust! Nazi comparisons offend our honour!" he added, referencing two bones of contention in a long-running Berlin-Ankara spat. Stuttgart is the capital and largest city of the German state of Baden-Württemberg. It is located on the Neckar river in a fertile valley locally known as the "Stuttgart Cauldron" an hour from the Swabian Jura and the Black Forest. The city and metropolitan area are consistently ranked among the top 20 European metropolitan areas by GDP. Since the 6th millennium BC, the Stuttgart area has been an important agricultural area and has been host to a number of cultures seeking to utilize the rich soil of the Neckar valley. The Roman Empire conquered the area in 83 AD and built a massive castrum near Bad Cannstatt, making it the most important regional center for several centuries. Stuttgart's roots were truly laid in the 10th century with its founding by Liudolf, Duke of Swabia, as a stud farm for his warhorses. In last century, Stuttgart prospered despite setbacks in the Thirty Years' War and devastating air raids by the Allies on the city and its automobile production. However, by 1952, the city had bounced back and it became the major economic, industrial, tourism and publishing center it is today. Stuttgart is also a transport junction, and possesses the sixth-largest airport in Germany, where companies such as Porsche, Bosch , Mercedes-Benz, Daimler AG, Dinkelacker are headquartered. Stuttgart 21 is a railway and urban development project in Stuttgart, Germany. It is a part of the Stuttgart–Augsburg new and upgraded railway and the Magistrale for Europe (Paris—Vienna) in the framework of the Trans-European Networks. Its core is a renewed Stuttgart Hauptbahnhof, amongst some 57 kilometres (35 miles) of new railways, including some 30 kilometres (19 miles) of tunnels and 25 kilometres (16 miles) of high-speed lines. The project was officially announced in April 1994. Construction work began on 2 February 2010 but has hit snags all along. There is cost overrun arising out of delays and heated debates have ensued on a broad range of issues, including the relative costs and benefits, geological and environmental concerns, as well as performance issues. As of 2017, the start of operation is expected in 2021, versus with an initial estimation of 2019 (made in 2010). Lacertaagilis and Podarcismuralis : two rare breeds of lizard are now delaying the prestige £5.9 billion rail project in southern Germany. The high-speed line between Ulm and Stuttgart was set to be the latest jewel in the crown of an already impressive rail network. That was until it was discovered that the land earmarked for the project was also the habitat of Lacertaagilis, or Sand lizard, and Podarcismuralis, two species of endangered lizards, the Local reported. Protected by European Union environment law, the lizards must be rehomed before work can start on the land needed for the project. Experts have been enlisted to find the lizards. They have been picking their way through the grass armed with lassos on the end of poles trying to retrieve the creatures. According to one estimate, the bill for conservation will hit $13.7 million, around £1,825 per lizard. Even rehousing the lizards has not been without controversy, as experts try to find a suitable new habitat. They need stones on which they can bask and sunbathe as well as sand in which to lay their eggs. However the choice of Killesbertpark, a bucolic area of fields and trees, has not proved popular with locals who have been incensed by plans to dump 15,000 tonnes of limestone onto what had been an untouched meadow. The lizard conundrum is just the latest snag to hit the project which is now unlikely to be completed until 2021 at the earliest. The stretch of land is only given over for rail construction when "we have done everything in our powers to collect all the animals," says an activist leading the lizard-collecting operation. Over the past five years, construction has been delayed in several sites throughout the huge scale project, as builders have had to turn their attention to creating barriers to protect lizards from building work. Those large costs aren't just for capturing the lizards - they also cover planning, observation, re-location and the creation of new habitats. 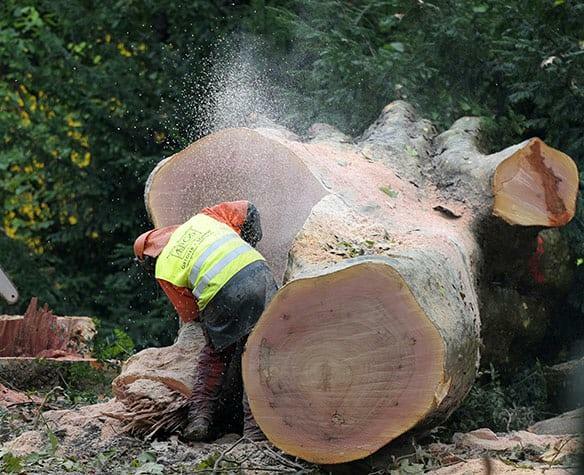 Killesberg park, an area of fields, trees and hills in the north of the city, has faced some more protests as locals claim nature has been destroyed for the sake of animal conservation, expressing anger and disbelief at the introduction of 15,000 tonnes of limestone to the previously untouched meadow this summer. The stones are piled into two metre-high walls which Killesberg residents are describing as unnecessary. Questions have also been raised regarding the organization and effectiveness of the conservation efforts. But for Baden-Württemberg's Minister-President, Winfried Kretschmann, who's also Germany's first ever Green Party Minister-President, the bottom line is animal conservation. "What would be disproportionate, would be to eradicate two entire species," he said. It is tough to understand the Western World ! !